Today’s Seen on the Streets is a good friend of mine, Celeveren. 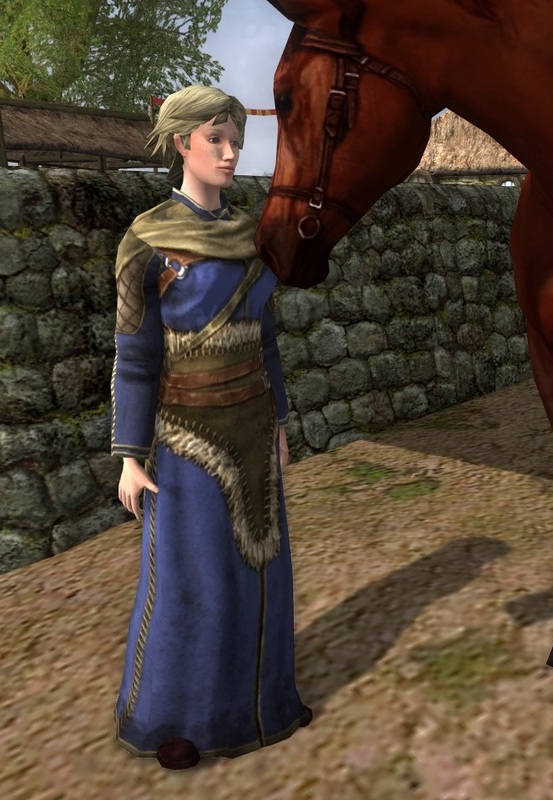 I previously featured her Haradrim character Aminah, and today I’d like to show off another of her characters’ outfits. 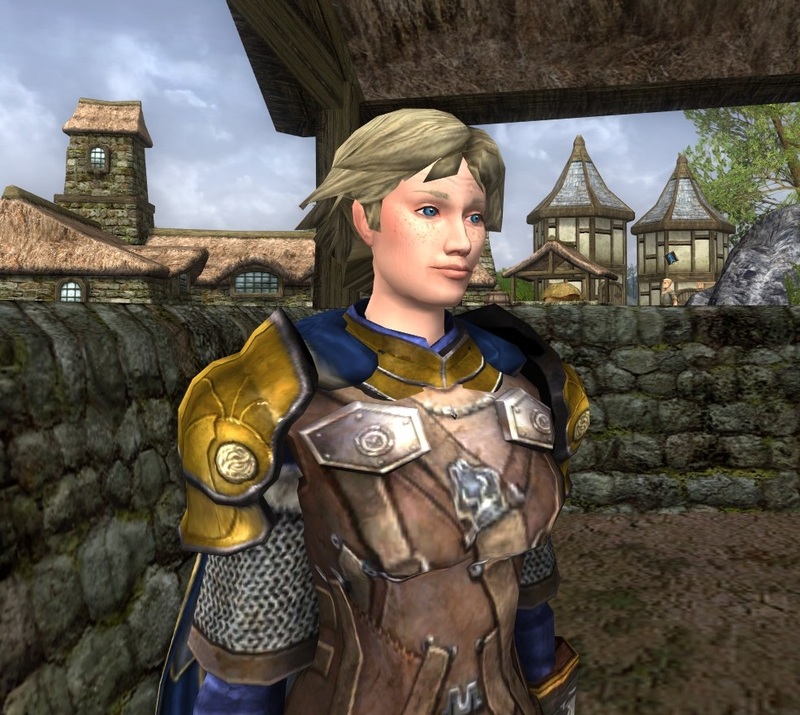 The player is a person who likes to rp against-the-grain sort of characters, whether younger, older, marginalized, or from cultures not often explored by other roleplayers. 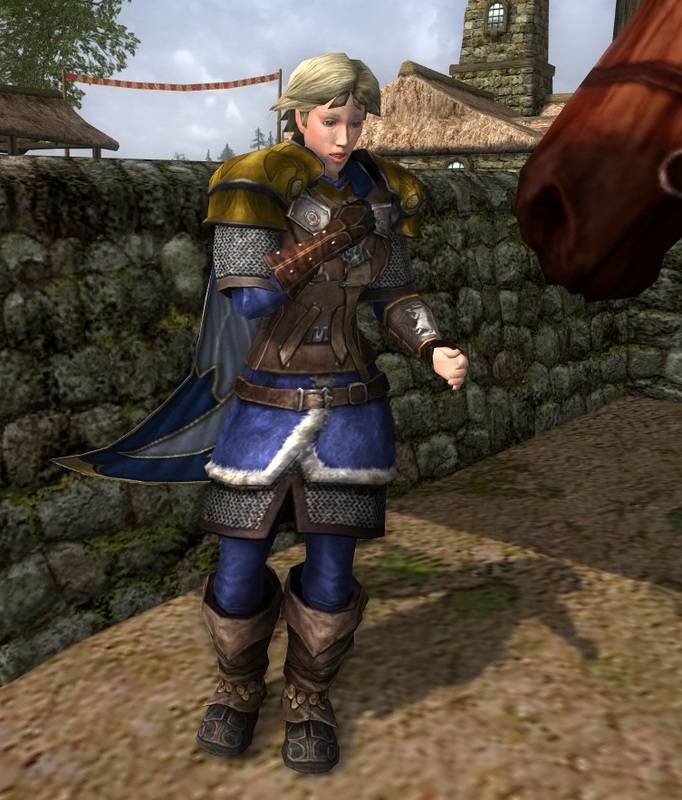 Botild is an older woman, a shieldmaiden who now serves as a caretaker and healer of horses in the Eastemnet hall to which she is bound. She has never followed a traditional path, and her garments reflect both her practical job and her past as an armed defender. Botild is not one for gowns. I love the gold and blue together. 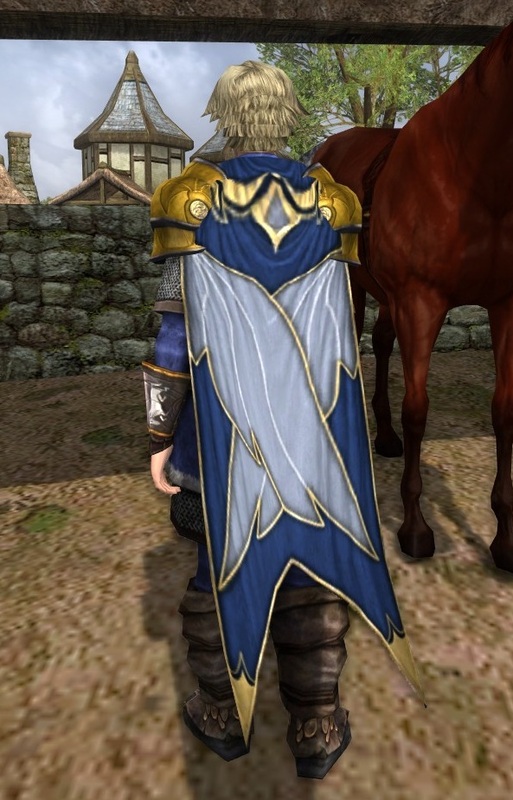 Blue is the heraldic color of the made-up Rohirrim hall to which Botild is attached, so the outfit fits perfectly in a roleplay sense as well. This is my favorite of the three outfits, I think. 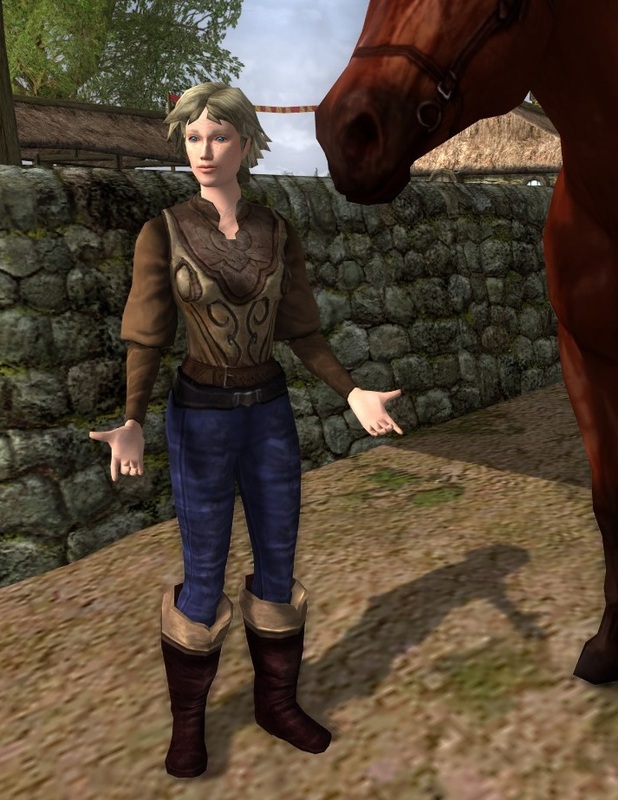 Such a simple combination, but striking with Botild’s coloring, and excellent for her stable-based life. Though as I’ve said before, I wish our cosmetic designers would decide on which piece, top or bottom, gets belts. 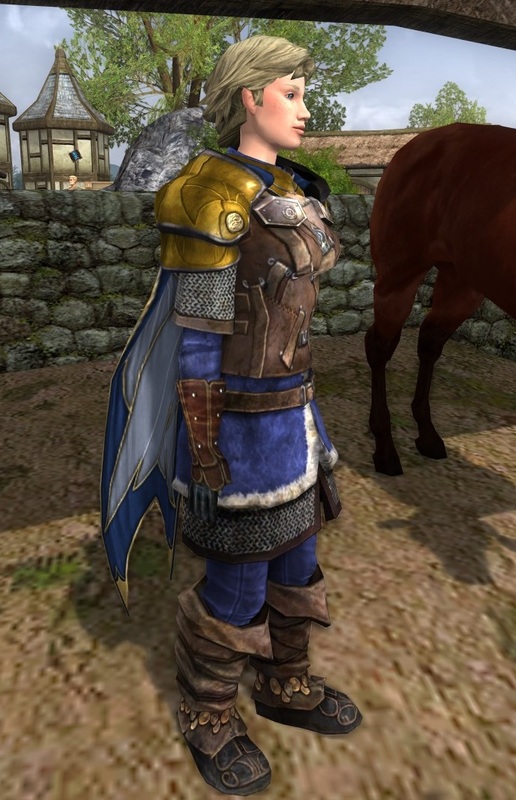 Dunland cosmetics have a lot of double-belting going on. If you have a question or comment for Botild, please leave it below. Thank you, Botild, for your time!